There are four district goals in Dallas ISD - three relate to the results of STAAR testing and one pertains to student participation in extracurricular activities. Students “approaching” grade level standard or above will increase to 75% across all subjects by 2022. Students “approaching” grade level standard or above will increase to 75% in 3rd grade Reading by 2022. Students “meeting” grade level standard or above will increase to 40% in two or more subjects by 2022. Student participation in extracurricular and co-curricular activities will increase to 65% by 2022. 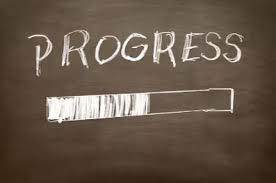 Across various board meetings, the administration and superintendent present progress towards meeting these goals - where there is success, where there are challenges, and what the data shows about meeting the goals. During the April School Board Briefing, Superintendent Hinojosa and the Dallas ISD administrative staff presented progress on the fourth goal: engagement in extracurricular activities from our DISD students. As of June 2017, 58.7% of students were participating in an extracurricular activity. By March 2017, 70.6% of students were participating in extracurricular activities. Needless to say, the district has exceeded the initial goal and it is something to celebrate. Superintendent Hinojosa presented the possibility of the board approving a Tax Ratification Election (TRE) for voters who live within the Dallas ISD bounds. A Tax Ratification Election would mean that the school board decides whether or not voters can cast a ballot in favor or in opposition to a tax increase of 13 cents. These additional funds would be used to sustain strategic initiatives, student outcome goals, and the district’s focus. Some of the initiatives named included magnet programs, early college high schools, and schools within the Office of Transformation and Innovation. If these funds support student outcome goals, it could help the DISD meet its student achievement goals. Board discussion included themes around placing more pressure on state legislature to increase funding for local school districts, considering impact on families who are under financial duress, letting voters decide on the tax increase instead of the board, and communicating a timeline for a TRE. The second topic of the briefing that drew great anticipation from the public was the presentation from the administration on plans for addressing racial equity in the district. The presentation was a collaborative effort between Dallas ISD administrative staff and a research group from San Diego State University, National Center for Urban School Transformation. Develop a district equity office. Develop a strategy that increases the likelihood that all students, particularly African American and English language learners, master state standards and graduate college and career ready. Focus improvement in learning outcomes for all demographic groups, emphasize high levels of support for all schools through district offices, and mandate corrective action for schools that fail to make reasonable improvements. Board discussion in response to the administration and NCUST’s presentation included themes around wanting more specificity for recommendations since it is not the first time racial equity work has been presented to the board. If you have further questions about this summary of the board briefing, don’t hesitate to contact info@dallaskidsfirst.org.